Cool Girl Chess Photo Trivia: She just Won Serbia National Title - Name her! 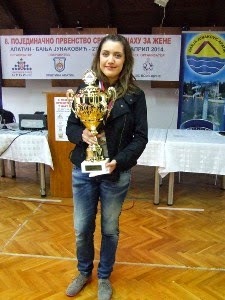 This cool chess champion has just won the Serbia Women's Chess Championship 2014. Can you name her? Click on photo to check the answer.